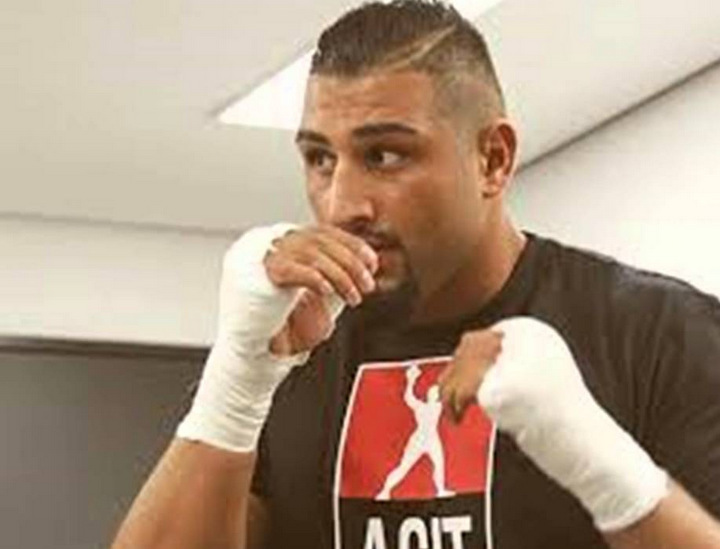 Sandwiched between many of the more eye-grabbing fights in the coming days, one of Germany’s rising heavyweight stars, Agit Kabayel, finds himself as one half of an intriguing and significant vacant European title fight next Saturday, February 4th. In the opposite corner will stand the seemingly solid, but largely untested Herve ‘Double Hache’ Hubeaux of Belgium, who is taking the opportunity at a month’s notice, in place of Poland’s Mariusz Wach. Both aged just 24, and standing around 6’4″, the tale of the tape, at the very least, suggests an even contest. However, though Hubeaux boasts an impressive 26-1 ledger, he has only achieved 12 knockouts, the same number accrued by Kabayel on route to his 15-0 record. With Kabayel and Hubeaux registering knockout percentages of 44% and 80% respectively, it clearly appears that the power lies with the German prospect over the Belgian. Furthermore, despite both fighters being relatively inexperienced, Kabayel has fought the better opposition of the two. Respectably, he holds a knockout win over fellow German prospect Christian Lewandowski, 9-0(9 KO’s) at the time, picking up the EBU-EU (European Union) title in the process. Alternatively, ‘Double Hache’ has largely knocked over the usual roster of Eastern-European journeymen, and even then, has found some difficulty. Hubeaux’s sole defeat was over 10 rounds to Croatian Toni Visic, who went into the fight with a 4-6-1 record; on this form Kabayel will have an easy night. On the other hand, Kabayel’s laboured split-decision win over tough-but-limited Gbenga Oluokun, will give Hubeaux some hope going into the fight. The bout will be held at the Maritim Hotel in Magdeburg, Sachsen-Anhalt, Germany, and televised around the world. On the under-card, homegrown prospects including Flyweight Mirco Martin and Light heavyweight Adam Deines will attempt to extend their undefeated records. This fight will propel the winner at least into fringe-contender status for a world title shot, and it is always positive to see two young heavyweight prospects take the chance and fight each other, to boost their burgeoning careers. In the end though, the German prospect, who has trained with the Fury clan, is rightly considered the favourite to lift the title.